PCA Club Race & HPDE – Both Full Track and Outer Loop, September 15 – 17, 2017. 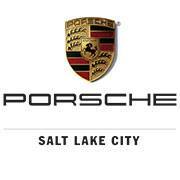 Sponsored by Porsche Salt Lake City. SCHEDULE – A preliminary schedule is on the region web site at HERE. TRACK GATE HOURS: – There is 24 hr. security and you should be able to enter the paddock upon arrival. You will have to pull your rig to the side and enter the building on the right so that you can sign the track waiver and receive an armband before you can proceed through the gate. If you register for the Test & Tune at the track Thursday night you will receive an armband and will be able to go directly to the gate. If you arrive at the track before Friday, you will still need to either register Thursday evening at the track between 6:30 PM and 8 PM or register Friday morning and sign the PCA waiver. For participants who wish to bring their RV, parking is available in the paddock for a fee of $45 per night with electrical hookups and $15 per night without power. RV spaces are 16’ x 44’. The contact person at the track for RV rentals is Kristy Ogden. She can be reached at kristy.ogden@umcampus.com or (435) 216-5650 for reservations and parking assignments. You will then receive RV and electrical tags to show that you have paid. If you call the Hotel direct at 801-250-3600 please give them code “LPORSC” (only 6 letters allowed). The rate is $100 + tax on Thursday & Sunday and $80/night + tax on Friday & Saturday and it includes breakfast. This hotel is 10 miles from the track. Please remember that we have a limited amount of rooms for this special rates. So once the special rate is sold out you will need to pay the normal full rate, so don’t delay and book your room NOW!